The finance ministry told regional governments to hurry issuance of about 1 trln yuan of bonds to drive growth. It’s also stipulating they yield more than the sovereign rate. Despite progress building sustainable funding channels, Beijing mixes its messages to local officials. A clerk of ICBC bank counts Chinese one hundred Yuan Banknotes as she poses for camera during a photo opportunity at its branch in Beijing, China, April 13, 2016. China’s Ministry of Finance instructed local governments on Aug. 14 to complete at least 80 percent of their special bond issuance quota by the end of September, with the rest “mainly” issued in October. 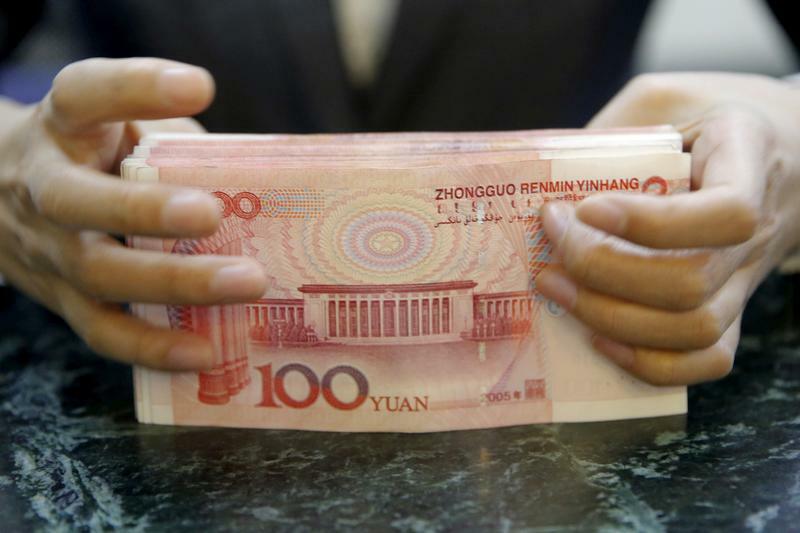 Local authorities are allowed to issue up to 1.4 trillion yuan ($195 billion) of the special bonds this year. Separately, the finance ministry told underwriters of local government bonds that bid rates for such debt should be at least 40 basis points above the mean rate for central government bonds, Reuters reported on Aug. 15, citing sources.